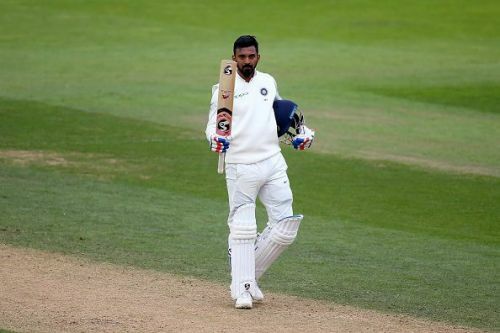 KL Rahul with a superb ton at the Oval. India's tour of Australia will start with a three-match T20 series which will kick-off on 21st of November. India have got a very balanced side and with Australia struggling due to various reasons, it might be a golden opportunity to win a Test series in Australia for the first time ever. But India have got some issues, mainly in the batting department which may hamper their performance in Down Under. KL Rahul is one such batsman whose form with the bat is a matter of concern. KL Rahul made his debut in 2014, in Australia, where he scored a century in the second Test of his career in Sydney. Since then, he was on a roll. Only last year, he was scoring half-centuries for fun. He scored nine half-centuries in 11 innings out of which seven came consecutively. But times have changed for the stylish batsman quiet dramatically. Since the South Africa tour, KL Rahul's batting graph has witnessed a tremendous dip. He had a bizarre England tour and sadly he couldn't score against West Indies, that too in a home series. Rahul kicked off the England tour with a breath-taking ton at Old Trafford in the first T20. Everyone expected him to fire in the rest of the matches and establish himself as one of the best batsmen in the world. But surprisingly, he failed in the remainder of T20s and in the couple of ODIs that he featured in. In the Tests, KL looked clueless against the swinging conditions. Then suddenly out of nowhere, he played a magnificent inning of 149 at the Oval. But the knock came in a dead rubber as India had already lost the series. Considering the fact that Rahul scored such a brilliant ton in the last Test match against England, it was expected that he would score some big runs against West Indies in the home series. But he failed miserably. In the three innings of the two matches, he scored just 37 runs. Even in the three-match T20 series against West Indies, Rahul couldn't score anything significant. Just 59 runs in the three matches are way below par, considering the fact that he averages 47.2 in the format. Of late, KL Rahul has just shown us patches of his brilliance. With a batsman of his class and elegance, it is expected that he competes with the likes of Virat Kohli and Joe Root. But even after getting so many opportunities that's not the case yet. More than technique, it seems to be the mental aspect of the game in which Rahul is struggling. Hopefully, he gets over it and scores big in Australia, and most importantly becomes consistent. Because when KL Rahul gets going, cricket looks very pleasing to the eyes.